Add modern styling in your custom built home with this Italian design limestone mantel. 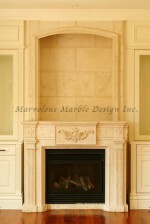 This is a custom hand crafted French limestone fireplace mantel. The quality of French limestone is simply unrivaled. Take a closer look at the stone and you will realize why it is renowned all over the world. This is the right stone to accent your dream home in Ontario. The fireplace happens to be the place where friends and family members gather. It is a magical place where we all tend to gather during special occasions. It is also the place where most of us if not all of us prefer spending romantic times. Therefore, this area requires special attention when it comes to its creation and decoration in your custom built home. It needs to exude the right atmosphere for romance, or entertainment. By virtue of its naturally occurring subtle tonal differences and veining, the stone brings stunning beautiful, natural features that enhance your fireplace. Indeed the stone is natures best. 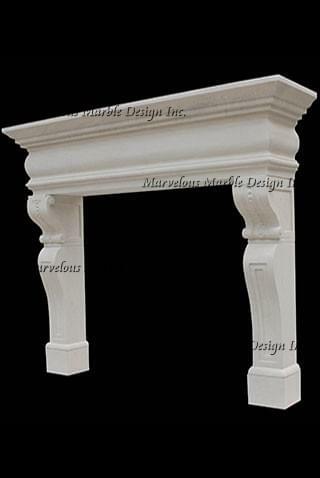 Each detail on this limestone fireplace mantel is meticulously hand craved to add classical beauty to your main hearth. It will be the centerpiece in your dramatic living space. But even in the study, this limestone mantel in its small stature will just work well. 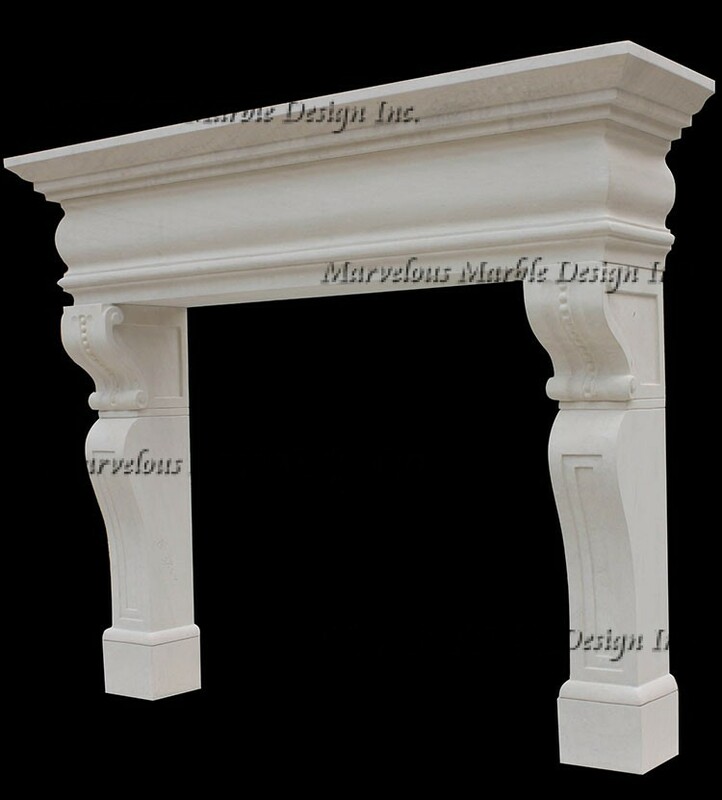 This French limestone mantel features a lovely pair of strong legs. The legs on this piece are curvy with beautiful lines running horizontally. The linear mantel shelf on the other extreme is paired with symmetric geometric lines. The mantel’s whitish gray color will complement all other pieces of décor in your space. The polish finish is smooth and feels really good to touch and gives the entire product a striking appearance. Custom design French limestone mantel is not as heavy as it looks. The mantel’s weight enables the installer to perform his or her work with some relative ease. The fireplace mantel can be adapted to fit varying firebox heights including all custom dimensions. This is one of the products that will go beyond your expectations as a natural addition in your luxurious space. If you want this custom design mantel in any other natural stone, just know that we have the stone of your dreams in our local inventory. 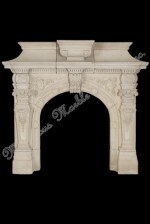 We set very high standards for each French limestone fireplace mantel that we create. 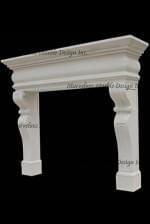 For more information about this custom design French limestone mantel, call us at 1-888-272-0630.